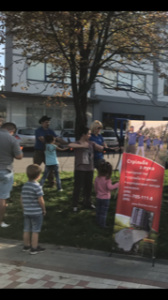 September 22, 2018 in the city of Irpen a relatively young holiday “World Father’s Day”, took place. It is celebrated in many countries of the world, but in Ukraine it has been officially recognized since 2009. So, now every third Sunday of September we celebrate the “World Father’s Day”! 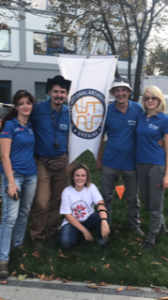 The World Federation of Traditional Archery in Ukraine (WTAF Ukraine) supports the value of the family as a cell of a healthy society and the future of our beautiful, promising country. And who as not the Father is the head of this important and valuable cell! In support of this idea, we took an active part in this event. 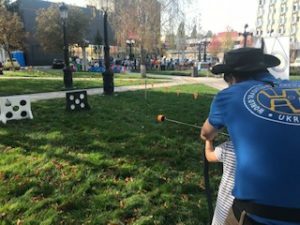 The archery location has become part of a common quest for participating families. The idea was that each family needed to hit the target to receive the cherished puzzle. Having collected a whole picture from puzzles, the family claimed to participate in the drawing of the main prizes from the organizers of the holiday. 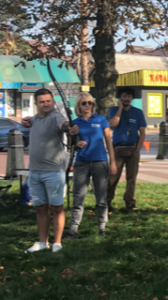 All participants were happy to go through our place of archery, and not only to get closer to the desired prizes, but based on their own convictions and motives. We, too, were happy to observe happy families, and happy to participation in the formation of such an important tradition in our beloved city of Irpin. WTAF Ukraine – family values and traditions. In support our strong and courageous Fathers!